To introduce student-athletes to valuable life lessons and a superior level of basketball by providing an inviting, family atmosphere for youth to develop as scholar athletes and extraordinary citizens. To teach, inspire, and advance student-athletes through a structured program built around the five (5) components of the Championship Mindset, so that our student-athletes will develop into champions both on and off of the court. Your Future Basketball is for student athletes who are interested and dedicated to the highest level of character, education and basketball. 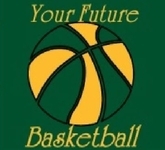 Your Future Basketball is for student-athletes and families who are looking to be a part of a much disciplined basketball organization. Your Future Basketball holds VERY HIGH expectations for our student athletes, as our volunteers and staff are very committed and dedicated and do not expect any more than they are willing to give.